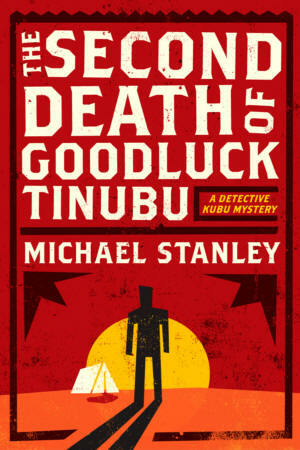 I usually save the discussion of covers for the end of a review, but the contrast in cover and title of the U.S. and U.K. versions of the new "Michael Stanley" novel, A Deadly Trade in U.K. (published by Hodder Headline) and The Second Death of Goodluck Tinubu in U.S. (published by Harper Collins) editions is particularly stark. I think I prefer the photographic evocation of the African landscape (though the title is actually a bit of a red herring) of the Headline version, but the Harper/Collins version's graphics are definitely suggestive of African art, and the U.S. title has a certain Pirandellian ring to it that evokes the central mystery (and the overall tone) of the book in an interesting way. Thoughts? Michael Stanley is of course the pen name of the writing team Michael Sears and Stanley Trollip, South African natives and long-time friends whose writing career began with a provocative idea for getting rid of a corpse (ultimately resulting in A Carrion Death and the creation of their main character, Kubu, whose name means Hippo in Setswana, the language of Botswana where the books are set, and whose name describes his physique). 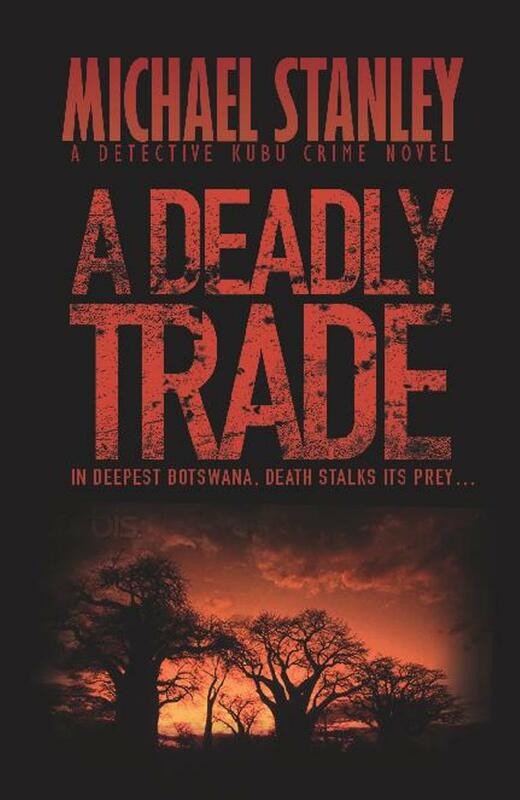 A Deadly Trade, to use the more compact version of the 2nd novel's title, begins with a murderous night in a safari camp in northern Botswana, to which local cop Tatwa Mooka is called and, feeling the need of more senior assistance, calls his friend and superior officer Kubu, who comes up from the capital, Gaborone. The set-up is rather like a locked-room mystery, and many aspects of this series resemble traditional mysteries and cozies: Kubu's family life is rather sweeter than one might find in the case of a noir detective, and many of the secondary and incidental characters are drawn with almost the same assumption of basic goodness as one finds in the Botswana novels of Alexander McCall Smith. But within those characteristics, A Deadly Trade is essentially a police procedural, hammering away at a crime that grows more complex as it is investigated, rather than simpler. And the placid home life of Kubu is disrupted by threats and kidnappings as the spreading disorder pushes in. It's not just the murders and the villains (actual and suspected) that deepen the tone of the novel, there's also (as the mysteries begin to be solved by Kubu and Tatwa) a portrayal of southern African realpolitik, in the relations among the governments and police forces of the region and also in the "traffic" at the heart of the novel (I can't get more specific without giving too much away). The contrast among the political complexities, murderous crimes, and positive (rather than gloomy and flawed) main characters create a whole that will probably be interesting and enjoyable for McCall-Smith fans as well as procedural and noir fans (maybe stretching the limits that each group has set for itself, in terms of genre boundaries). The portrait of Botswana gives a sense of culture and countryside but also a sense of a peaceful, almost innocent, people caught between larger and more dangerous forces on all sides. Perhaps someone knowledgeable about the country can offer an opinion about the accuracy of Michael Stanley's portrait of the country and its residents, but from the outside it seems rather accurate and certainly sympathetic and believable. Any way I can persuade you to post some of your reviews of older books on Friday so my forgotten books project has a more international bent? Doesn't have to be all the time and it doesn't have to even be new reviews. Stuff from your archives would be welcomed. Much prefer the US title. Much more true to the novel. I like the US writing at that top, but not the image. It is interesting that the hardcover of A Carrion Death as published in the States was also a photo montage. For the paperback, HarperCollins used the UK cover. When A Deadly Trade came out Headlinein the UK used a montage and Harper an African motif as shown.